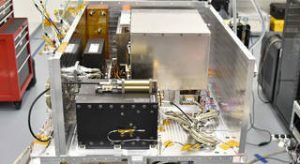 While in orbit, the Deep Space Atomic Clock (DSAC) mission will use the navigation signals from GPS coupled with precise knowledge of GPS satellite orbits and clocks to confirm DSAC’s performance. The atomic clock, GPS receiver and ultra-stable oscillator that make up the Deep Space Atomic Clock Payload, following integration into the middle bay of Surrey Satellite US’s Orbital Test Bed Spacecraft. 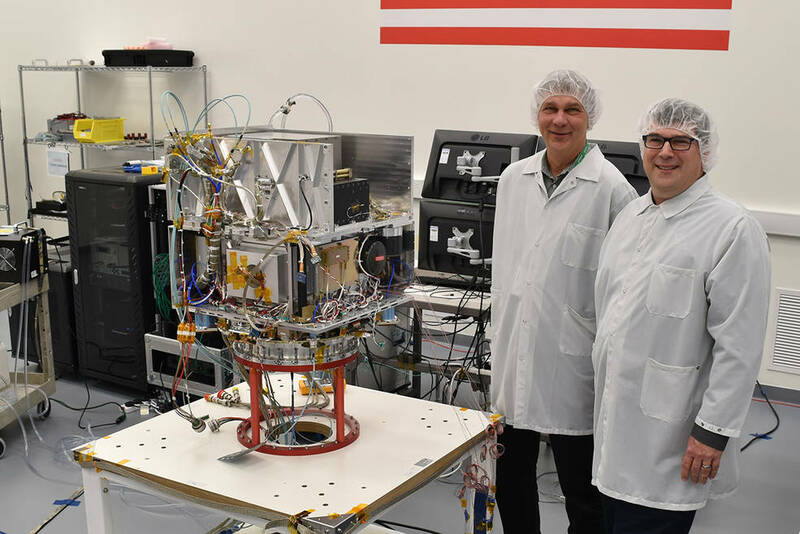 Tom Cwik, the head of JPL’s Space Technology Program (left) and Allen Farrington, JPL DSAC project manager, view the integrated atomic clock payload on Surrey Satellite US’s Orbital Test Bed Spacecraft.